I've been visiting this salon for two years , I travel from Cheshire too get my hair done . I find the team , fabulous , they listen to what I want , advise on style , products , their Sevice is incredible . I love the atmosphere there , always cheerful and helpful. A true hidden gem , couldn't remind theses guys more , well done !!! Never looked back since my first appointment. Staff always very attentive, friendly and make me feel at home. Leave the salon feeling fabulous and full of confidence. Excellent hair dressing skills and always give me the colour and cut I want. Highly reccomend. Been a regular client in this establishment for many years now, I have my 5 week appointments with the lovely Neil!!! However I consider every single member of staff to be my friend. Always greeted with a smile and lots of happy chats, I am so very well looked after, a never ending supply of coffee and biscuits, and my hair done to perfection every single time. A million thanks to all the wonderful staff, Its a 5 star from me!!!! 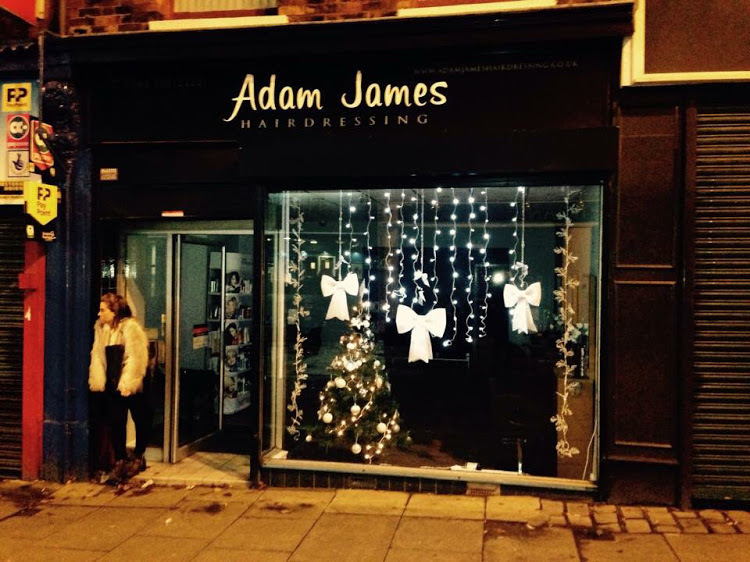 Enjoy every minute of being at Adam James Hairdressing, the staff are friendly and professional. James has a unique sense of humour which adds to a pleasant and enjoyable morning at the salon! Exciting to see how they have come so far since they opened and looking forward to many future haircuts with them! Every 5/6 weeks I go to Adam James for rejuvenation of my hair and soul I always book in with Amy always have done from day one .I always walk in feeling a mess, and I walk out feeling 100% all the staff are very courteous very caring just love their coffee and biscuits the whole experience for 1 to 2 hours I'm there is my time Joan,s Day. I just love it and I walk out of there feeling fabulous 100% It's my treat to myself .